This type of bacteria impacts different dog species worldwide. It is also known as tropical canine pancytopenia, canine hemorrhagic fever, canine rickettsiosis, canine typhus, and tracker dog disease. The transmitter tick is commonly known by the name of “Lone Star Tick”. Lone Star Tick is a carrier of various pathogens which cause southern tick-associated rash illness (STARI), tularemia, and Ehrlichiosis. The bacteria infect the white blood cells in the dog’s body. There are several types of Ehrlichia, which can infect a large range of animals. Some specific tick species infect the dogs. There is also another very similar infection to Ehrlichia, it is known as Anaplasma Platys. It affects the platelets. However, different bacteria cause the two illnesses. Anaplasma is caused by the Anaplasma phagocytophilum bacteria, whereas the Ehrlichiosis occurs due to E. chaffeensis bacteria. Just like any other disease, the symptoms of Ehrlichiosis are dependent on the type of Ehrlichia causing it as well as the immunity of the dog breed. Mostly, the Ehrlichia Canis results in the most extreme infection. It gradually passes through different stages. The severe phase takes place just after a few days of the dog getting infected. It is rarely fatal. Recovery is possible at an early stage. After the first stage, the dog enters into subclinical phase. This phase can prolong till years with no visible symptoms. Some dogs tend to pass on to the chronic phase. This phase is marked by very severe sickness. It might all make sense theoretically. However, in reality, it is hard to differentiate between all the phases. The symptoms of Ehrlichiosis are inclusive of fever, suppressed appetite, sudden weight loss, swollen lymph nodes, inflamed spleen, lethargy, runny eyes and nose, vomiting, nausea, and diarrhea. Apart from the physical symptoms, it is also associated with neurological symptoms like depression and incoordination. Other dog organs can also be infected in the chronic phase. But, there is specially a probability of kidney disease. A small portion of affected dogs suffers from rashes too. There are two main types of rash that are exhibited by Ehrlichiosis: the petechial rashes, and the red rashes. The petechial rashes include the appearance of small pea size spots due to internal bleeding. The red rashes are less severe and only appear at the surface level. 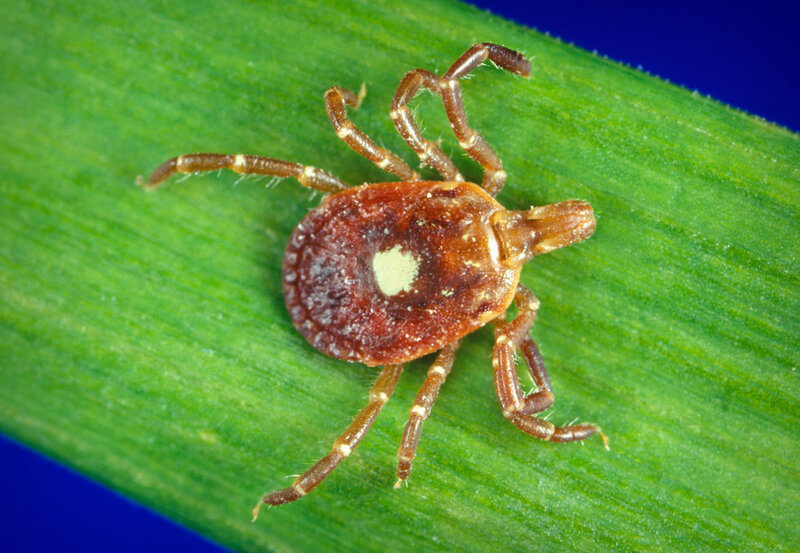 In case of Anaplasma, with a lesser platelets count, the symptoms become prevalent between seven to fourteen days of a tick bite. The diagnosis of Ehrlichiosis is challenging. The underlying reason is that the dogs suffering from it might also be infected with other tick diseases, making it harder to be distinguished. Some diseases are in conjunction with Ehrlichiosis, like Babesia. The presence of other diseases can exhibit more severe symptoms, which make the diagnosis process difficult. Ehrlichiosis can be diagnosed by testing blood. However, the blood tests will only indicate the reduced number of platelets. 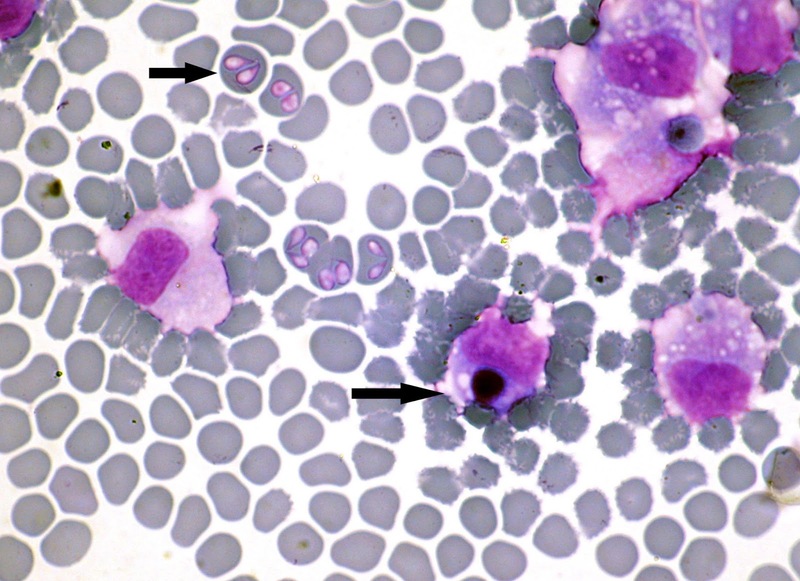 In some cases, the tests may show the reduced number of red blood cells or white blood cells, indicating the dog to be anemic. The dog’s blood can also be examined for the antibodies to Ehrlichia. However, the results produced by it are not 100% accurate all the time. Ehrlichiosis can also result in the change of protein levels. 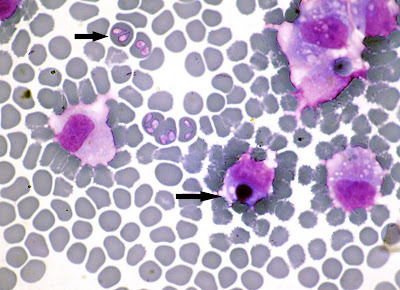 For finding out the existence of the Ehrlichia bacteria, blood smears can sometimes be tested. If the bacteria are active, it might show up on the test. In most of the cases, its presence cannot be detected by testing the blood smears. There is a specially designed test for detecting Ehrlichia. However, it is a sensitive test and is posed by certain limitations. Plus, it is not readily available. In general, the lab tests along with the apparent symptoms and health history of the dog are used for diagnosing Ehrlichiosis. The best available treatment of Ehrlichiosis is an antibiotic named Doxycycline. Consuming any antibiotic other than Doxycycline and Tetracycline can lead to fatal outcomes. If the course of Doxycycline is initiated at the early stages, it can be beneficial for the prevention of future complications. This treatment should be started on mere suspicion in the clinical diagnoses, and even before the confirmation from the laboratory arrives. Why? If the dog is treated within the five days of initial suspicion, the fever reduces within the next twenty-four hours. In case of failure of ailing dog to react to Doxycycline, it is commonly concluded that the dog may not be suffering from Ehrlichiosis. A very simple and straightforward preventive measure for Ehrlichiosis is a reduced exposure to ticks that might carry Ehrlichia. You should be extremely careful in the tick season if your dog likes to wander off into the woods and tall grass. In case of exposure, one must daily inspect their dog and check out for ticks. The tick needs to feed at least for 24-48 hours before the Ehrlichia spreads in the blood and infects the dog. They should be removed as soon as possible. Here’s a step-by-step guide to remove ticks on dogs in case of little exposure. Ticks preventive products like monthly parasite preventative are readily available in the market. If you want to keep your dog to be chemical free, you can also invest in tick collars. However, all these preventive measures should be taken after consulting the vet. To ensure a lesser availability of parasites, you need to do some work! You would have to trim your yard regularly, especially the areas that are prone to ticks. Moreover, the yard and kennel area have to be treated by insecticides and parasite preventatives for ticks. Please note: The information discussed in the article is for informative purpose. It should not be considered for treating your dog. In case your dog is showing any symptoms of illness, you should immediately consult the veterinarian. This is a guest post by James Shore, a part-time dog trainer and behavior consultant. He is a professional freelancer with years of experience in dog training. 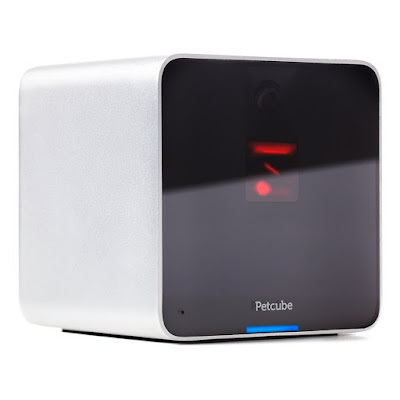 He is interested in finding out fun ways to handle dog behaviors, specifically Labradors, to help dog-owners enjoy their companions at all times. His pet-passion led him to develop Labrador Training HQ to help people.